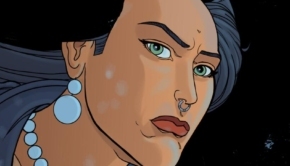 Caliber Comics announced the release of 4 graphic novels in Diamond’s October solicitations for delivery to retailers in February 2018. 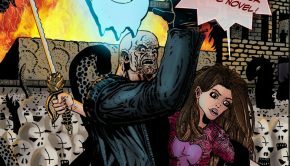 These books are currently available to pre-order through Diamond Previews, so run to your local comic book heroes/dealers! 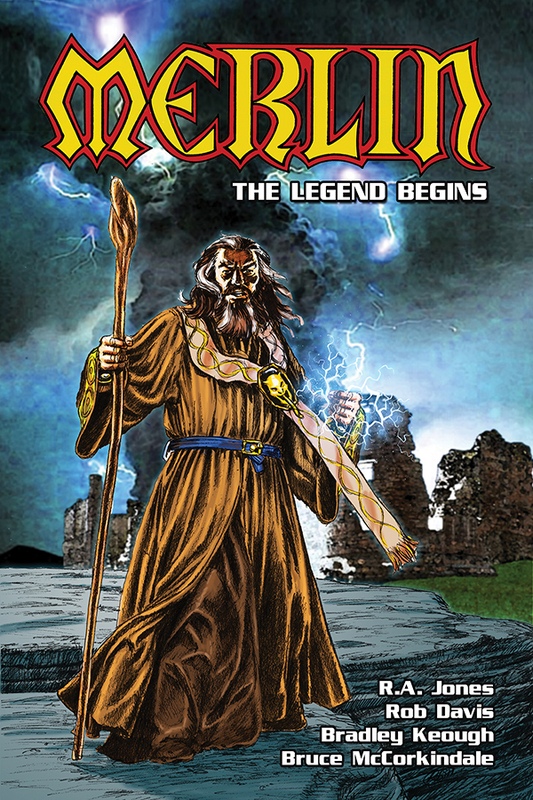 Before there was King Arthur, Camelot, and the Knights of the Round Table, there was Merlin. In the year 410 AD, a divided and decaying Rome calls back the last of her occupying forces from the island of Britain. With the Roman legions gone, British warlords and foreign invaders alike begin to battle for control of the small isle. In the region known today as Wales, one warlord at last gains enough prominence to take the title “King”. His name is Vortigern. It is the tenth year of his reign, 435 AD, and that is where the story begins. Black and White. DIAMOND # DEC171340 $16.99. 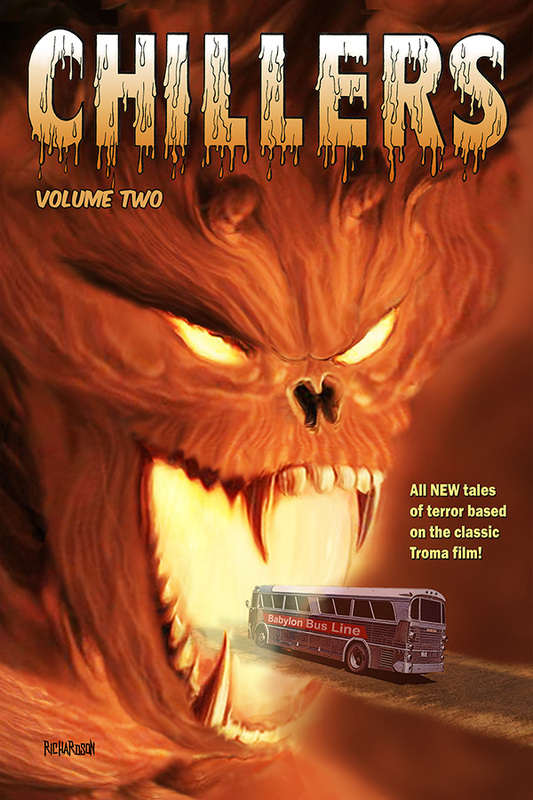 Based on the cult classic Chillers feature film from Troma Studios that captured the Silver Scroll Award now returns again with all new tales in an original graphic novel! Original writer and director Daniel Boyd is joined by some of the best in horror to present 14 more tales of terror and chills. 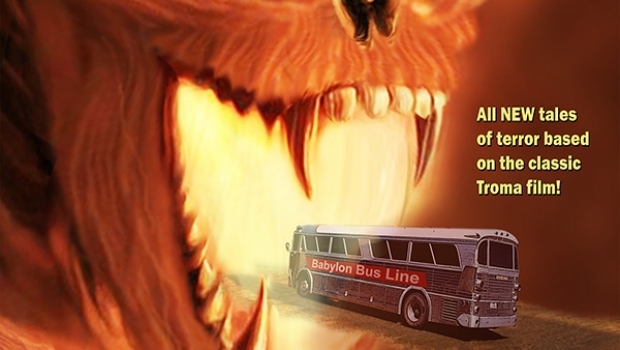 Evil travels in many forms… even by bus. But this bus, driven by Peterr Jesus, takes its riders on a journey that they may never return from! Black and White. DIAMOND # DEC171342 $14.99. Based on the series of novels from Frank L. Baum. 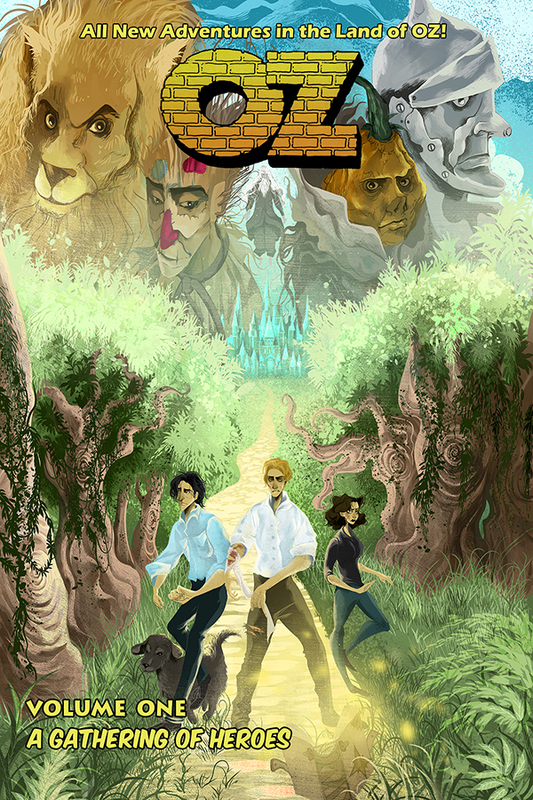 Return to and witness the incredible land of OZ after Dorothy and Toto had their famous adventure. But now, the Emerald City is tarnished. The Yellow Brick Road is in ruins. Scarecrow, Tin Man, and Lion, are missing. OZ is no longer a happy fantasy land of wonderful wizards and innocent singers. It is an OZ where a great evil has darkened the skies and come to despoil the land. And into this world of Winkies, Witches, and Winged Monkeys come a trio of friends from Earth along with their dog Max. The dark plans of the Nome King and the witch Mombie have infested the land and taken over, casting once legendary heroes into the clutches of evil. It is now up to these three earthlings and a ragtag group of OZ Freedom Fighters to once again restore OZ to its rightful and peaceful glory. “Fascinating and well written…” – Timeline Universe. “…Takes us to a totally different land of witches , munchkins, and ruby slippers.” – Dread Central. Black and White. DIAMOND # DEC171341 $16.99. Sequel to the Bram Stoker’s horror classic tale Dracula. Count Dracula, king of the vampires, is dead, but he isn’t finished with England. 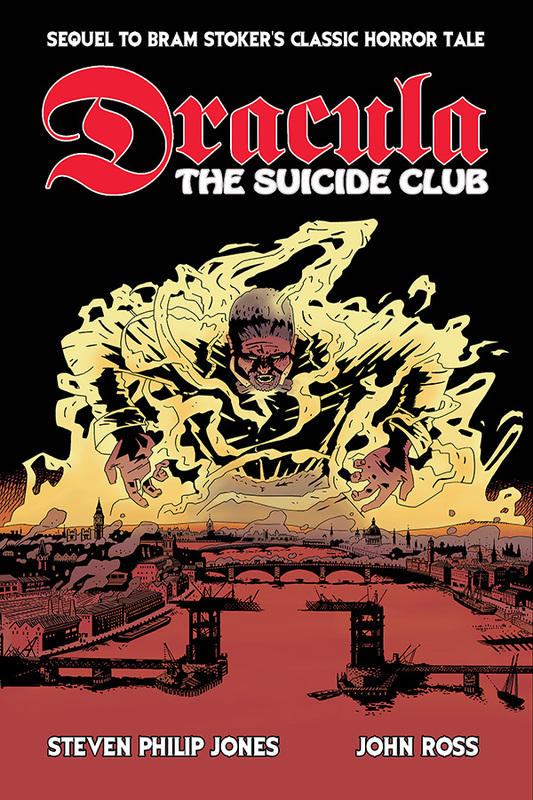 Resurrected, Dracula rises from the grave, and before long a rash of bizarre suicides begins plaguing London. Scotland Yard Detective Champion Harrison suspects these may actually be murders, and noted occult specialist Sir John Chandos and beautiful clairvoyant Dion Fortune offer to assist Harrison’s investigation. The final conflict between the forces of goodness and evil is about to begin, and the fate of England hangs in the balance. Written by Steven Philip Jones (CALIBER’s H.P. 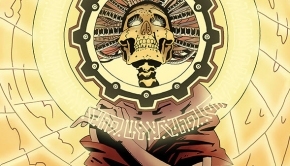 Lovecraft’s Worlds, Sherlock Holmes) and illustrated by John Ross (DC’s Wonder Woman, MARVEL’s Spider-Man).